The Production Company’s staging of Jerry’s Girls delivers, as promised, Australia’s leading ladies and Broadway’s greatest showstoppers. If these elements were presented on their own merits, the show would most likely be a smash, but diluted and convoluted by a backstage show-within-a-show script, many of the songs lose their sparkle, impact, poignancy and humour. As the group prepares for act one closer “Hello, Dolly!,” Nancye Hayes, playing herself, proclaims: “There’s only one way to do a classic, and that’s the way it was written.” Having failed to apply this sage advice to productions of The Pirates of Penzance and La Cage aux Folles, Bryant takes the same approach with revered revue Jerry’s Girls. Bryant has written a new book for the revue (uncredited in the program), setting the action in the rehearsal room as the cast prepares for the very show we are seeing. The idea has its moments, but they run out long before the 165-minute running time does. The fact that Bryant’s direction included all sorts of activities to help the cast interpret their songs is ideal, but forcing us to sit through a recreation of this is not only self-indulgent but disrespects the audience’s ability to appreciate this background without being hit over the head by it. Herman was a master songsmith. His songs are little stories, with character arcs, witty twists, heartfelt emotions and bittersweet resolutions. Uninterrupted, as when Rhonda Burchmore sings “I Don’t Want To Know” or Silvie Paladino sings “Time Heals Everything,” the songs soar. Interrupted, the songs are quickly torn to shreds. Virginia Gay singing the hilarious “Gooch’s Song” should be a highlight, but with the Director (played by Brent Hill) yelling at her to change accent every few lines, the story is completely lost a few accents in. Classic tunes “We Need A Little Christmas” and “Mame” are trashed in halfhearted lamentable group rehearsal moments. Burchmore and Gay score with “Bosom Buddies,” but in a show where the ladies are ostensibly playing themselves, this conflict seems completely contrived. Talented young singing actress Josie Lane scores mighty anthem “I Am What I Am” but has no depth or context to bring to the potentially powerhouse number. Paladino is an ideal choice to sing “Shalom” and “Milk and Honey,” but is undermined somewhat by falling glitter in the second of this serious pair of songs. Having one of the women (Whelan Browne) play choreographer Andrew Hallsworth seems a particularly indulgent choice that will leave most of the general public audience baffled at best. An aspect of the presentation that is perfect in every way is the wonderful musical accompaniment from Orchestra Victoria. Musical Director Mathew Frank has done a superb job with the score, producing a range of exciting musical styles from the 13 talented musicians. Subtly playing himself on stage, Frank manages to be part of the show while still maintaining perfect control over the musicians and singers. Dale Ferguson’s rehearsal room set is effective, but is disappointing that too little is seen of his far more glamorous show setting. While the rehearsal wear (presumably their own) is of patchy quality, Owen Phillips delivers a number of highly attractive gowns for the ladies. Music theatre lovers will surely not want to miss the chance to see all these actresses on stage together. Each of the stars make the most of their moment to shine, and there is a collective warmth that is a joy to see. 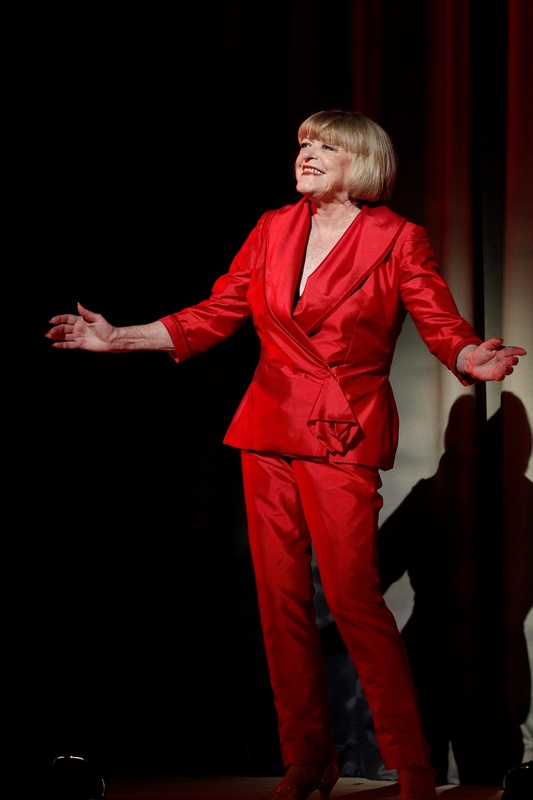 Lovers of Jerry Herman’s songs may come away disappointed at what might have been. 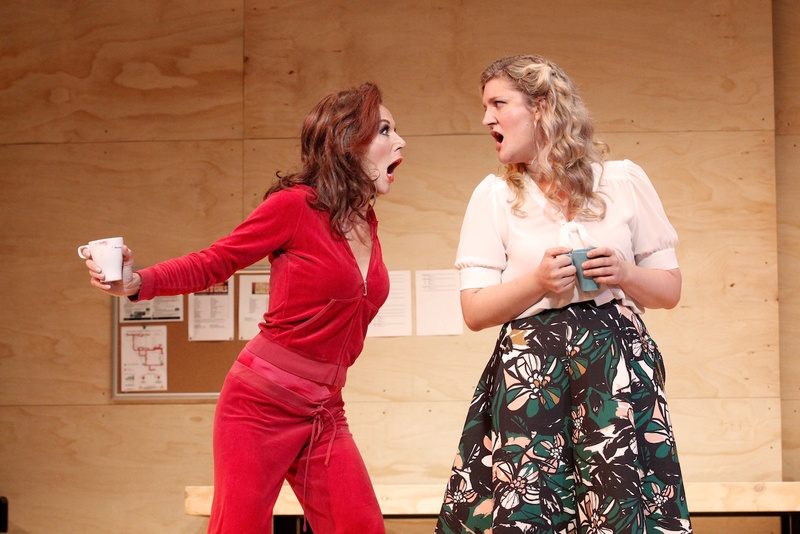 Jerry’s Girls plays at Playhouse, Arts Centre Melbourne until 6 December 2015. For once, Simon, I disagree. We had the best of times at yesterday’s matinee – gorgeous music and singing and dancing *gorgeous music and singing and dancing* needed to say it twice, clever staging, and witty, contemporary dialogue. My companion and I were delighted. If anything, the awkwardness of the rehearsals added to the charm. To my surprise, the best production by The Production Company this year. Fiona, I am really glad that you enjoyed the show. I only have the very best wishes towards The Production Company and I wish them every success. Thanks for taking the time to share your thoughts. Slight clarification Simon, Deborah Krizak sings “Kiss Her Now” – Kirby Burgess sings/dances “Showtune” then shadows Nancye in “I Was Beautiful”. Thanks so much for this clarification Chay. Writing the review without a list of which artists sang which songs was very frustrating. I will correct my review now. Thanks again for your input, it is much appreciated. No problem Simon, thank you!